Once used for numerous dairy farms, Kirkwood has grown into a popular intown Atlanta neighborhood. A mainstay in the Battle of Atlanta, there are five historic markers throughout the neighborhood, detailing the role Kirkwood played in the historic Civil War battle. The area was then developed in the 1870s as a streetcar suburb, eventually taking workers into and out of the city of Atlanta three times daily. By the late 1990s, the neighborhood of Kirkwood was experiencing a full revitalization, and by the early 2000s, both the business district and residential area were thriving. Residents call the downtown Kirkwood area “the small town in the big city,” complete with a post office, fire station, and public library. 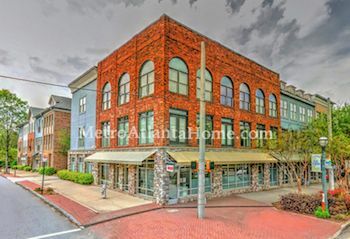 There are also numerous shops, restaurants, offices, and galleries. Kirkwood also hosts several annual festivals, including the Kirkwood Spring Fling, Kirkwood Wine Stroll, and Kirkwood Home for the Holidays. If you’re searching for an in-town neighborhood with historic value and a small community feel, then Kirkwood is the place for you. 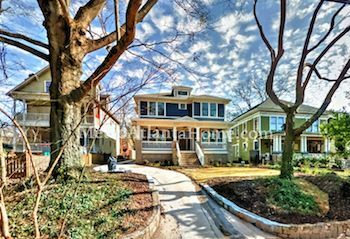 Situated between DeKalb Avenue, Memorial Drive, and I-20, Kirkwood features many architecturally significant homes. Victorian and Craftsman style are mainly featured, with an increasing number of new construction projects. Real estate prices, however, are reasonable; most homes range from the mid-$200s to the mid $500s. The entire Kirkwood neighborhood is featured on the National Register of Historic Places, making it the largest in the state of Georgia. 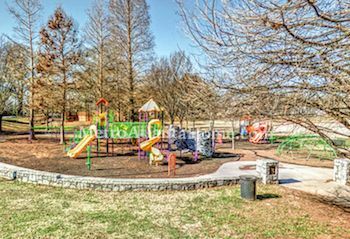 Five public parks call Kirkwood home, as well, and the neighborhood is planning the Eastside Greenway. The Trolley Line of the PATH development crosses through Kirkwood as well.